Recently Microsoft introduced Windows Mobile 6.1.4, a minor upgrade of the Windows Mobile operating system. With 6.1.4 Microsoft replaced the Pocket Internet Explorer web browser with Internet Explorer Mobile version 6. 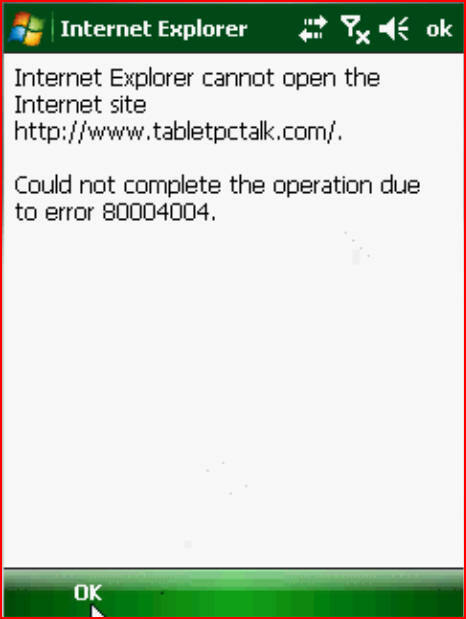 With Internet Explorer Mobile 6, certain websites render with errors. You may see this same error with browsing other websites you are using the new Internet Explorer Mobile which ships with 6.1.4.